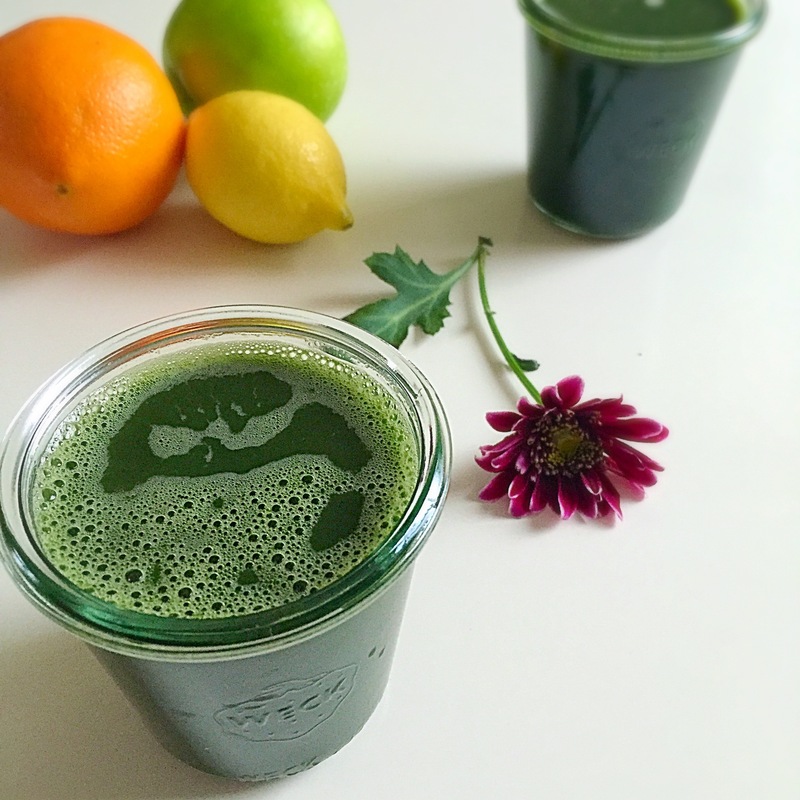 Cleansing green juice is one of the best juices for a morning detox and it tastes nice as well. A combination of vegetable and fruit juices will cleanse your body toxins, keep you refreshed and satisfied until your next meal. Pre wash all the vegetables and remove the core and seeds from the apple. Roll the salad leaves up and run through juicer. Add ginger, apple, celery and cucumber to a juicer. 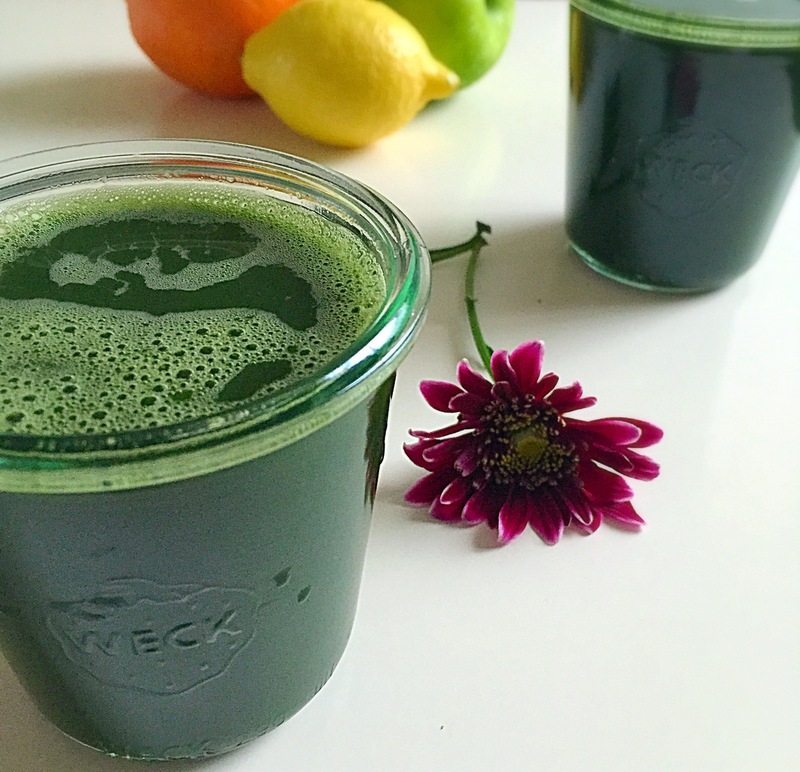 Transfer the juice into a blender, and add kiwi fruit and chlorella. Blend until creamy and smooth. Serve immediately.